Below I’ve written out the articles to make it easier for you to read. Our gentle Pat had a mental age of 10..
Skipping along happily, my sister Pat 19, wasn’t her usual tempestuous self. ‘What’s up with you?’ I asked her. ‘Don’t tell Dad.’ She whispered. ‘I’ve got a boyfriend.’ It was 1991, and although Pat was legally an adult, she was right to worry about what Dad would think. You see, Pat was born with learning difficulties, Doctors said that she’d never have a mental age of more than 10. She’d met this new guy at the college she went to in Sheffield. It turned out he had learning difficulties as well and also had a low mental age. Together they were a perfect couple. I’d often see them strolling through town, hand in hand. But it soon turned out that wasn’t all they got up to… ‘She’s pregnant,’ fumed Mum, back from taking Pat to the doctor’s. How right she was… The lad’s parents banned him from seeing he, refused to accept that the baby was his. Poor pat how she missed him. But when Danny was born, he eased the pain and gave her new hope. ‘He’s so cute,’ she said, all dewy-eyed. ‘My baby.’ And she was right. 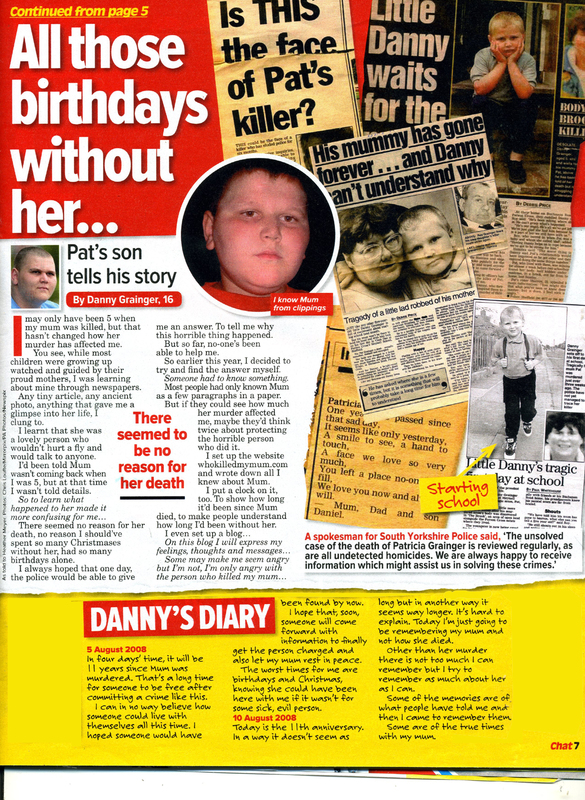 Danny was the perfect baby, quite and patient, and didn’t show any signs of learning difficulties that his parents suffered from. We all doted on him, Pat’s little gift. Only, Pat couldn’t be like other mothers. In her head, she was just a child herself. She couldn’t cope with a child on her own. 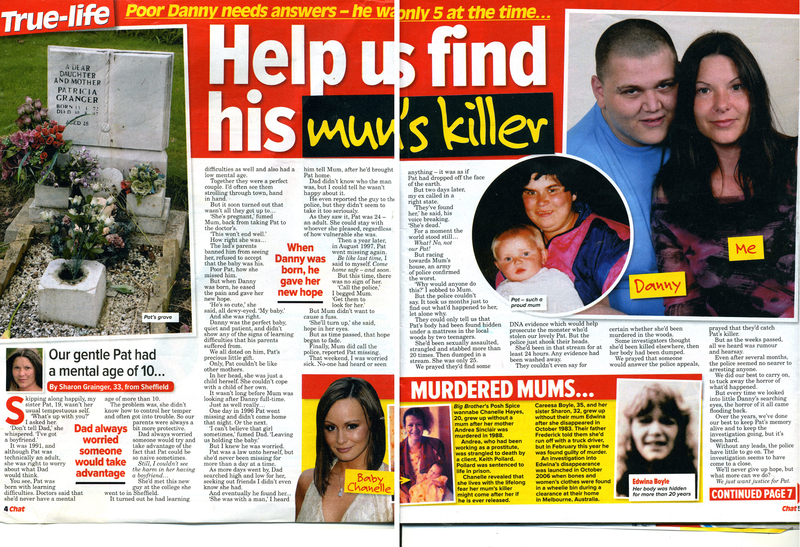 It wasn’t long before Mum was looking after Danny full-time. But i knew he was worried. Pat was a law unto herself, but she’d never been missing for more than a day at a time. As more days went by, Dad searched high and low for her, seeking out friends i didn’t even know she had. And eventually he found her… ‘She was with a man,’ i heard him tell Mum, after he’d brought Pat home. Dad didn’t know who the man was, but i could tell he wasn’t happy about it. He even reported the guy to the police. But they didn’t seem t take it too seriously. As they saw it, Pat was 24 an adult. She could stay with whoever she pleased, regardless of how vulnerable she was. Then a year later in August 1997, Pat went missing again. Be like last time. I Said to myself. Come home safe and soon. But this time, there was no sign of her. 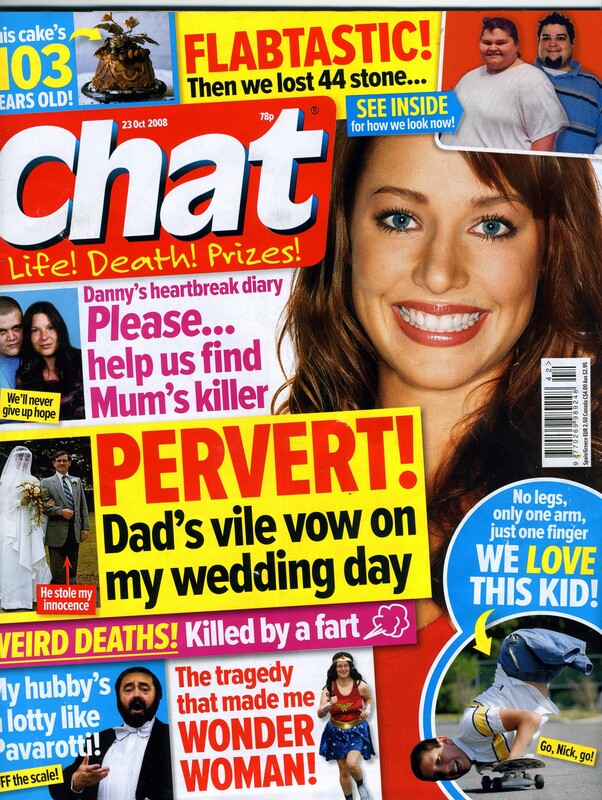 ‘Call the police.’ I begged Mum ‘Get them to look for her.’ But Mum didn’t want to cause a fuss. ‘She’ll turn up,’ she said, hope in her eyes. But time passed, that hope began to fade. Finally, Mum did call the police, reported Pat missing. That weekend i was worried sick. No-one had heard or seen anything – it was as if Pat had dropped of the face of the earth. But two days later, my ex called in a right state. ‘They’ve found her,’ he said, his voice breaking ‘She’s dead.’ For a moment the world stood still… What? No, not our Pat! But racing towards Mum’s house, an army of police confirmed the worst. ‘Why would anyone do this?’ i sobbed to Mum. But the police couldn’t say. It took us months just to find out what’d happened to her. Let alone why. 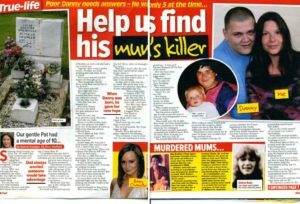 They could only tell us that Pats body had been found hidden under a mattress in the local woods by two teenagers. She’d been sexually assaulted, strangled and stabbed more than 20 times, Then dumped in a stream. She was only 25. We prayed they’d find some DNA evidence which would help prosecute the monster who’d stolen our lovely Pat. But the police just shook their heads. She’d been in that stream for at least 24 hours. Any evidence had been washed away. They couldn’t even say for certain whether she’d been murdered in the woods. Some investigators thought she’d been killed elsewhere, then her body had been dumped. We prayed that someone would answer the police appeals, prayed that they’d catch Pat’s killer. But as the weeks passed, all we heard was rumour and hearsay. Even after several months, the police seemed no nearer to arresting anyone. We did our best to carry on, to tuck away the horror of what’d happened. But every time we looked into little Danny’s eyes, the horror of it all came flooding back. Over the years we’ve done our best to keep Pat’s memory alive and to keep the investigation going, but it’s been hard. Without any leads, the police have little to go on. The investigation seems to have come to a close. We’ll never give up hope, but what more can we do? We just want justice for Pat. I may have only been 5 when my mum was killed, but that hasn’t change how her murder has affected me. You see, while most children were growing up with their proud mothers. I was learning about mine through newspapers. Any tiny article, any ancient photo, anything that gave me a glimpse into her life. I clung to. I learnt that she was a lovely person who wouldn’t hurt a fly and would talk to anyone. I’d been told mum wasn’t coming back when I was 5, But at that time i wasn’t told details. There seemed no reason for her death, no reason I should’ve spent so many Christmases without her, had so many birthdays alone. I always hoped that one day, the police would be able to give me an answer. To tell me why this horrible thing happened. A spokesman for South Yorkshire Police said, ‘The unsolved case of the death of Patricia Grainger is reviewed regularly, as are all undetected homicides. We are always happy to receive information which might assist us in solving these crimes.